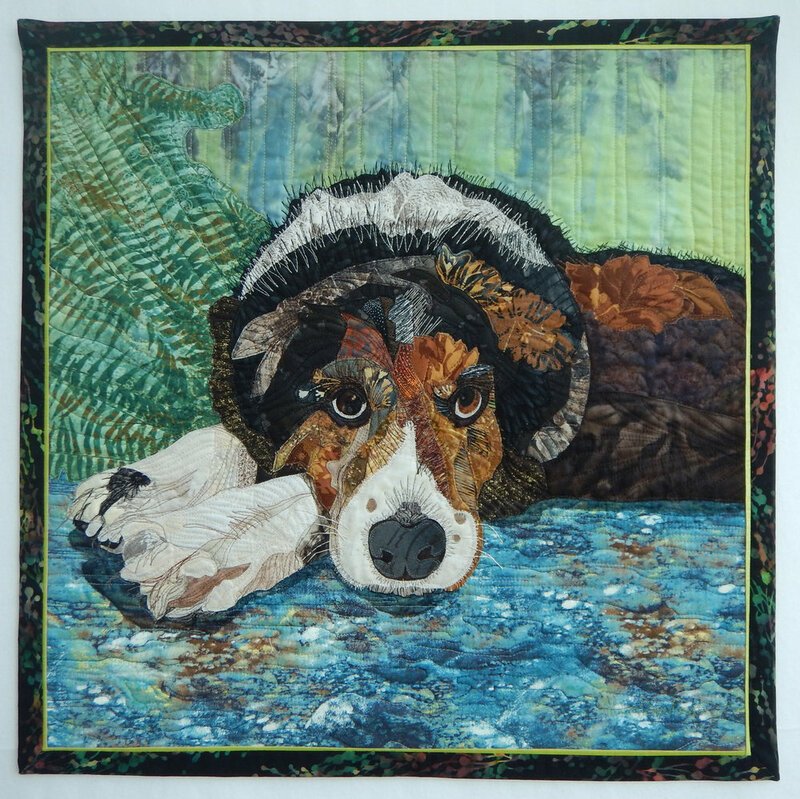 With experience creating portraits of peoples’ beloved pet, or dramatic life scenes and landscapes, Alison is available to create your perfect art piece on fabric. 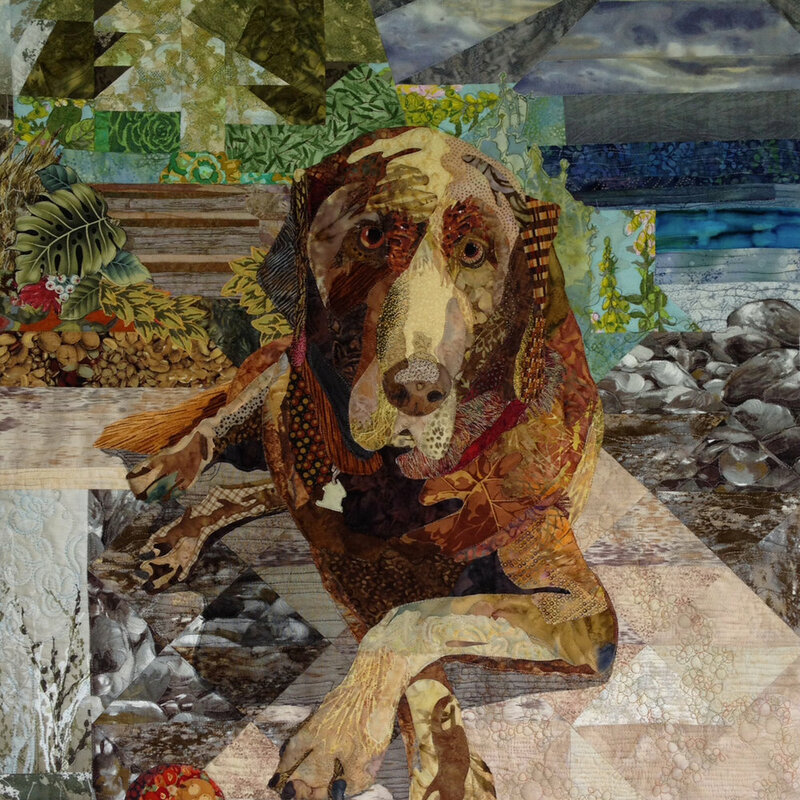 Contact Alison to learn more about how she can create your unique art piece. Step 1: Discuss with Alison about how you would like your selected image or theme portrayed. If it’s an animal, perhaps there are special characteristics, or quirky personality traits to be recognized. Step 2: Select a photo which the art piece will be based on (example, pet or landscape). The photo can be provided by the client or the object photographed by Alison. Step 3: Alison with develop two colour concept sketches for your review. The direction of the art piece is set at this time. Step 4: The size, complexity and final costs are determined. with you and feedback will be requested. Ongoing communication is key. The goal is 100% client satisfaction! A non-refundable deposit of $500.00 is required for the preliminary work discussed above. * the $500 deposit will be subtracted from the final cost. *these are examples of costs and prices will be negotiated based on the scope of work.